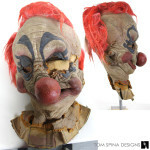 Conserving and restoring an original Killer Klowns movie prop mask by the Chiodo Brothers. This screen used foam latex animatronic mask was used in the cult classic (and genre defying) movie, Killer Klowns from Outer Space. 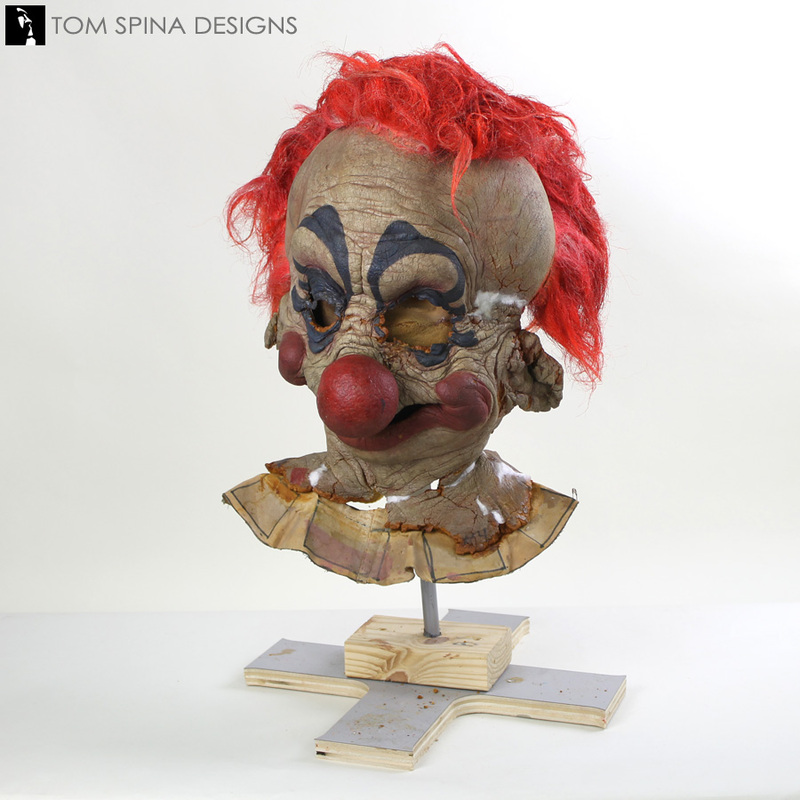 Originally created by our friends over at Chiodo Brothers Productions, this Killer Klowns movie prop mask came in to our NY studio for conservation and some light restoration. 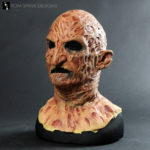 The mask had long ago been taken off its under-skull and the foam insert didn’t fully support the fragile foam latex skin. 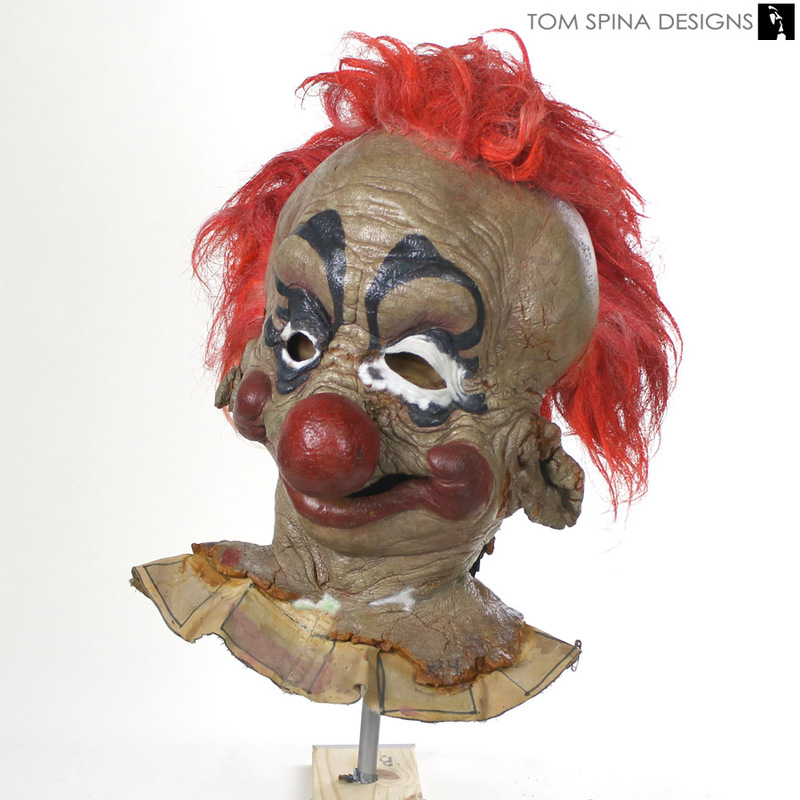 To conserve this bit of cult movie prop history, we began by patching only areas necessary to keep the piece well supported. 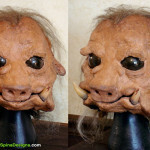 We added a large amount of internal fabric backing by way of muslin strips and flexible archival glues to help support the foam latex mask over time as well. 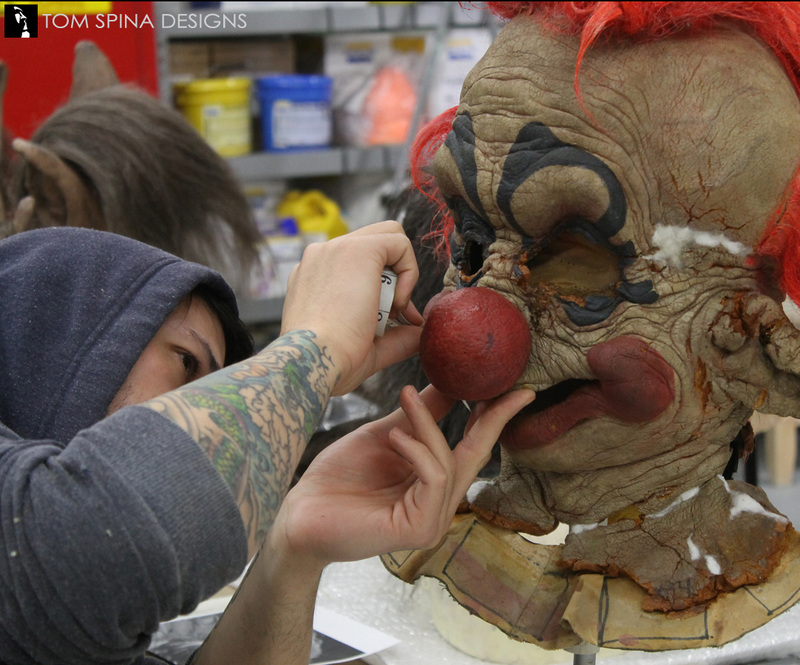 We modified the existing foam head form with additional padding to help fill out the prop for a better fit. 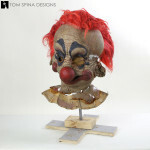 This sort of support is a key element in the conservation of original foam or latex movie props. Moving from conservation to restoration – we always discuss projects in-depth with our clients to find the right degree of repair for each prop. 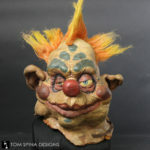 We balance their desires and budget with our years of experience in the field and an understanding of what the often fragile movie props can bear. 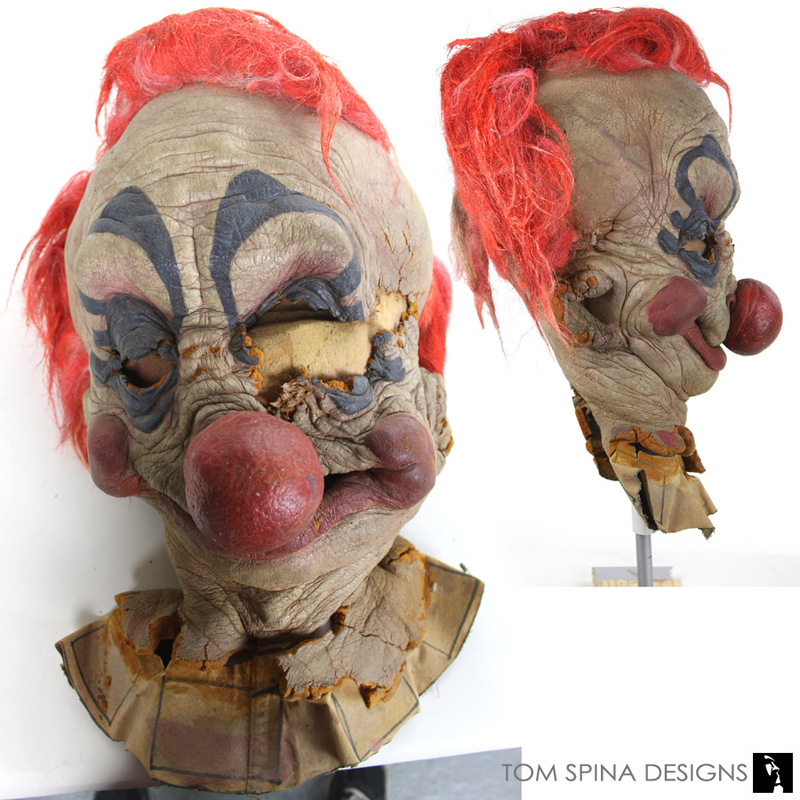 To help this particular Killer Klown movie prop mask display better, we settled upon restoring the area around the one missing eyelid and filling in just some of the larger damage on the “show side” of the prop. 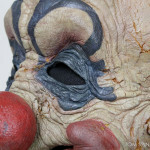 If you look at the Killer Klowns masks’ left eye in the close up photo, you’ll see how well the new eyelid and large temple repairs blend with the original material. 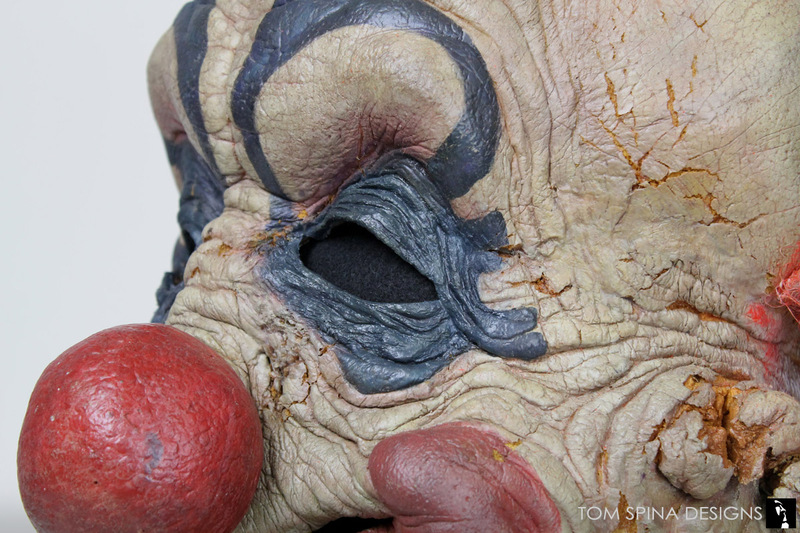 We use “in painting,” which means we only repaint the areas we patched, not the original material. 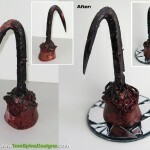 It’s a great challenge to match the look of aged paint and foam, but worth it for the final result. 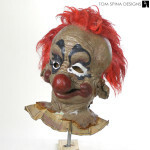 As an additional step towards preservation, the whole mask was sealed to help bind the cracks that we weren’t patched over. 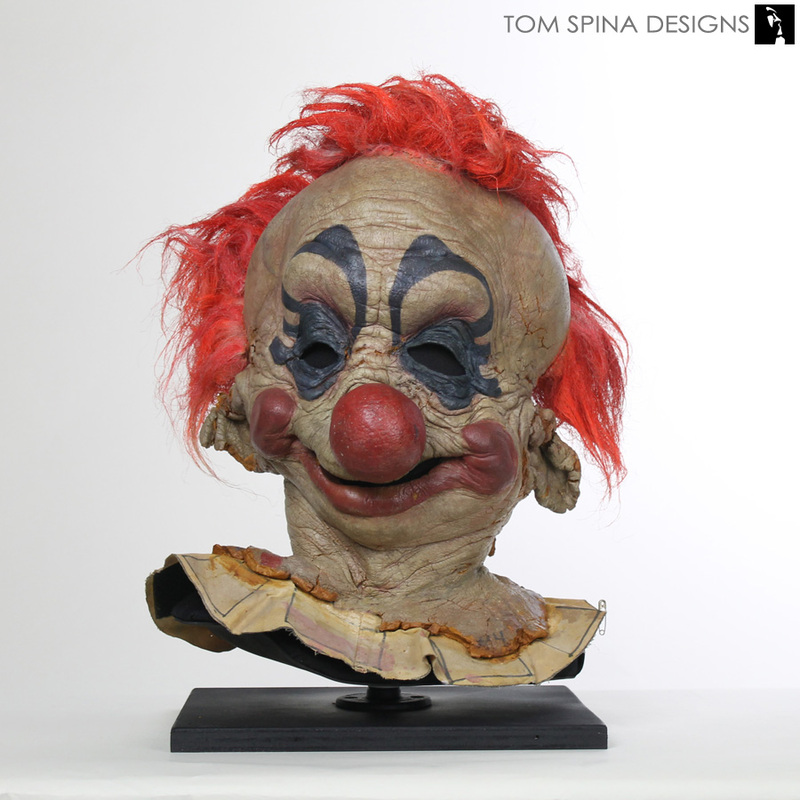 The finished Killer Klowns movie prop mask displays beautifully, the customized insert better supports the head and bib, and the restored eyes really make him look much more whole. 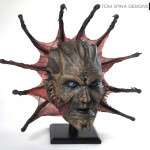 And yet he retains a ton of age and looks VERY much screen used and original! 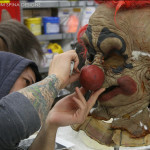 movie by our friends at the Chiodo Brothers!